Honeywell has announced that it has launched new customisable pressure and thermal sensor solutions – including modules with multiple sensors and technologies integrated inside. Heaters, magnetic, Magneto-resistive, infrared, optical, pressure, thermal, and humidity options are all available for customisation. Additional value add options include custom interfaces, I/O, size and shape, environmental packaging, and total thermal management solutions to make it much easier, faster and more affordable for design engineers to find a Honeywell sensor solution that meets their design parameters. This customisation process enhances the developer design process, ensuring that new and updated designs can be brought to the market quicker. 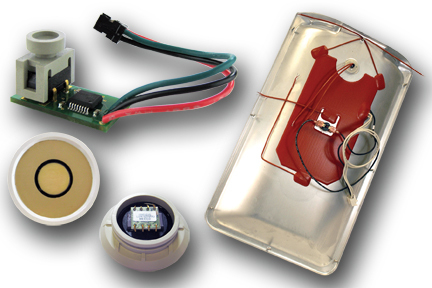 The ability to design in a customised version of an already approved sensor design often means that device developers do not have to re-certify their upgraded products, saving both time and money.